mundane jane: Nothing washes the taste of bad haiku out of your mouth like a little bit of poet laureate. Nothing washes the taste of bad haiku out of your mouth like a little bit of poet laureate. I'm losing my mind, trying to get everything ready for classes to start on Thursday. I do promise you a new, original content post--first thing after that drinking and crying jag I'm saving up for. 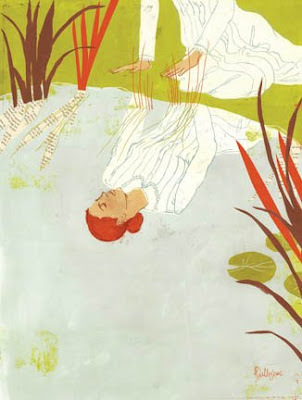 Image, The Emily Dickinson Museum's 2008 season poster, designed by illustrator Penelope Dullaghan and available here.